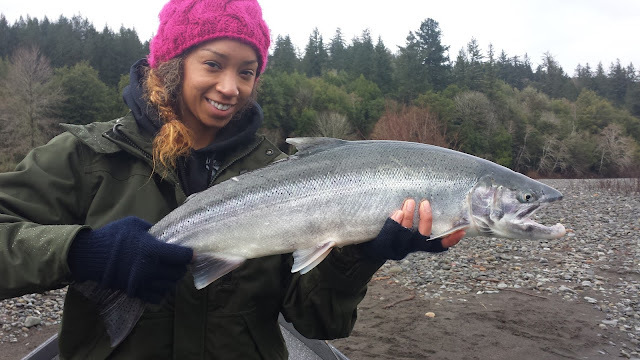 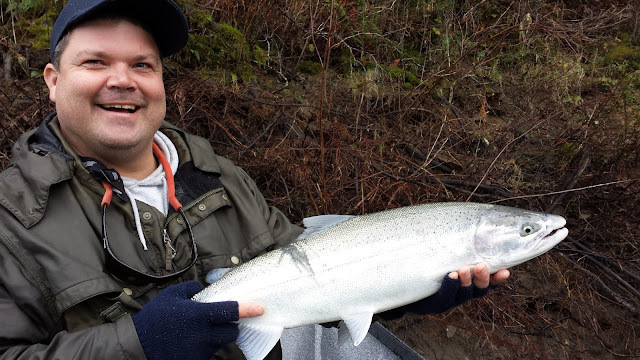 Winter Steelhead Fishing on the Chetco River in Brookings, Oregon continues to impress. The first week of January has been one that we won't soon forget. 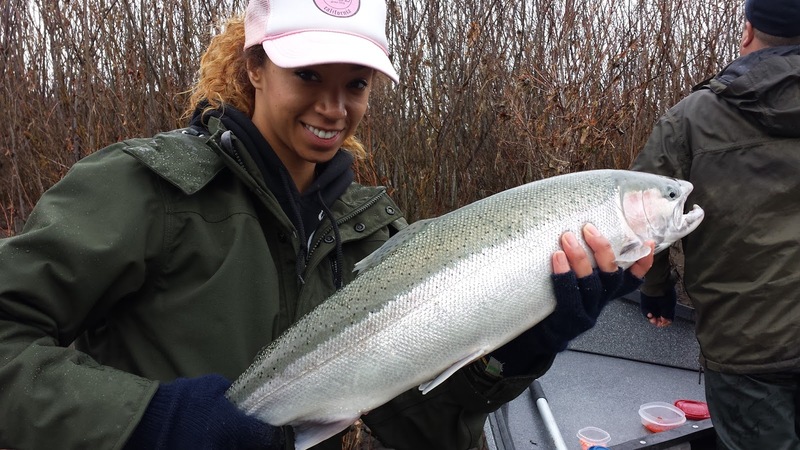 There are good numbers of Steelhead ranging from 8 to 20 pounds being caught right now. 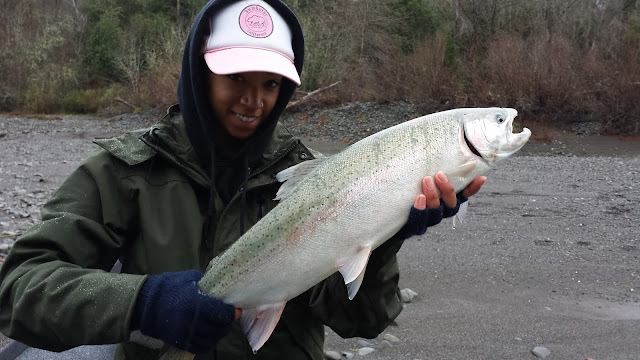 Aja and her Dad fish with me pretty often and she had the hot rod on this trip. 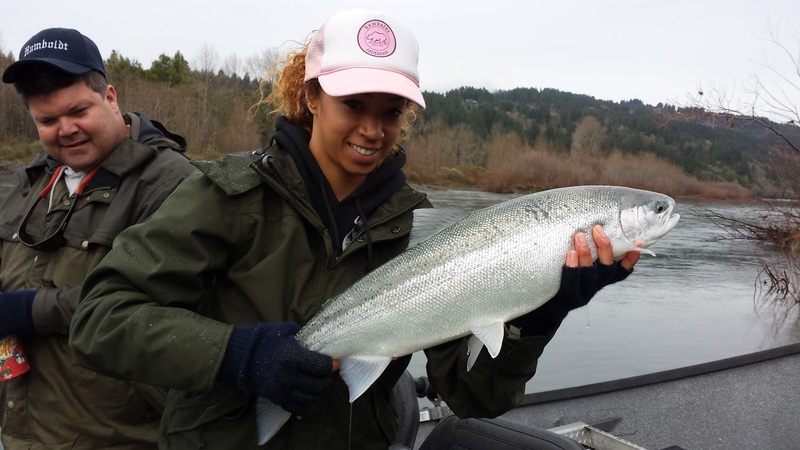 She even landed a 34" long by 17" girth Steelhead weighing in at around 14 or 15 pounds. 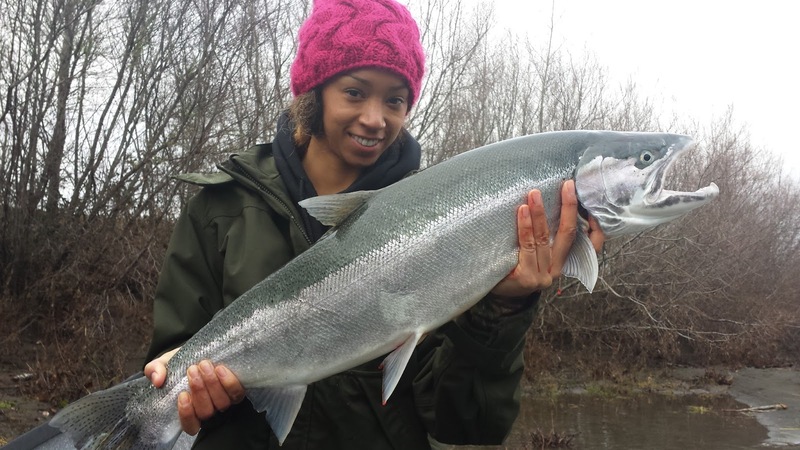 What a trophy!